My rating: 8/10. 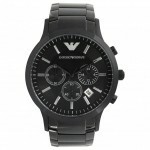 Good watch, popular Armani design. Today I’m doing a Emporio Armani AR2433 review. 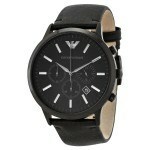 Known for producing popular designer watches Armani has a very large selection of top selling watches in it’s series. 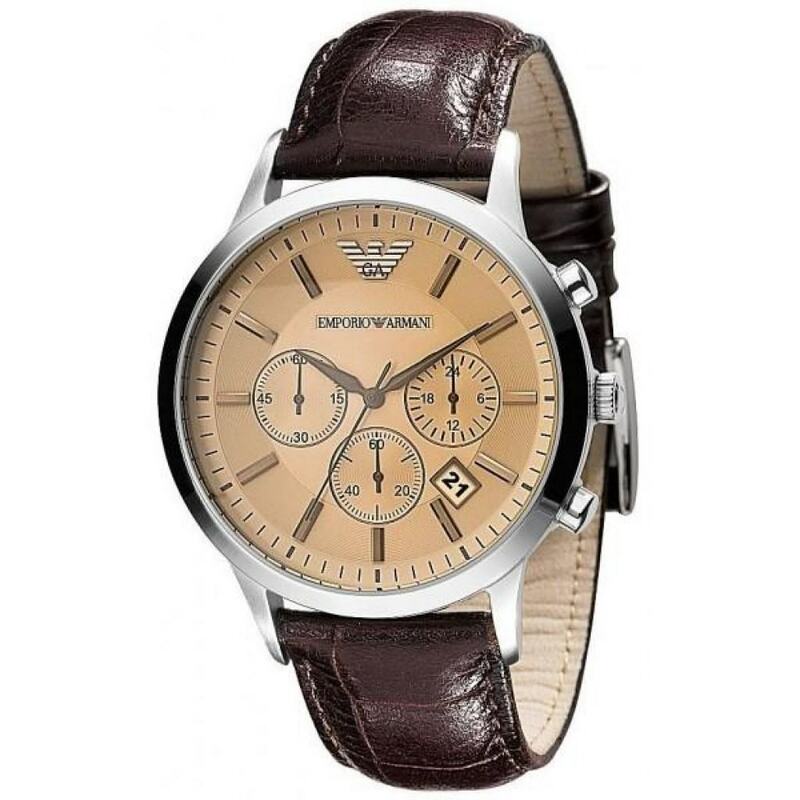 Armani are one of the more popular affordable designer brands with people of all ages after their stylish timepieces that are great for smart or casual wear. Whilst I would say you are always paying somewhat towards the brand name, they are still very nice looking watches. This watch in particular has a chronograph style dial with a small date window in the corner, I rather like the whole colour scheme and the strap of the watch is especially nice. I’ve always known Armani straps to be very high quality and extra soft. You may also like my 21 best watches for men under £200. Band Extra comfortable genuine leather strap, standard length, 18mm width, standard style buckle. Case Stainless steel casing, sizing diameter: 43 mm and thickness: 8 mm. Dial Nice large dial display with the logo at the 12 o’clock position. Movement Japanese quartz chronograph movement. Analogue display. Very popular designer style watch. As with many designer watch brands you are paying somewhat towards the brand name. If you want value for money check out these Swiss Military Hanowa watches. The Emporio Armani AR2433 is often bought as a gift making the perfect Christmas or Birthday present for the avid designer watch fan. I for one have a few Armani watches in my collection now and have always been very pleased with them. As I mentioned earlier, yes you could get a watch that has more functions or better parts for less money however I don’t feel some of these look as stylish as these Armani watches. 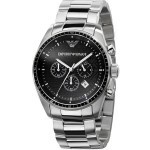 Hope you enjoyed this Emporio Armani AR2433 review. Find more watch reviews below.